No need to pick flowers! Make your own decorative bouquets with our realistic R24560 Bouquet Paper! 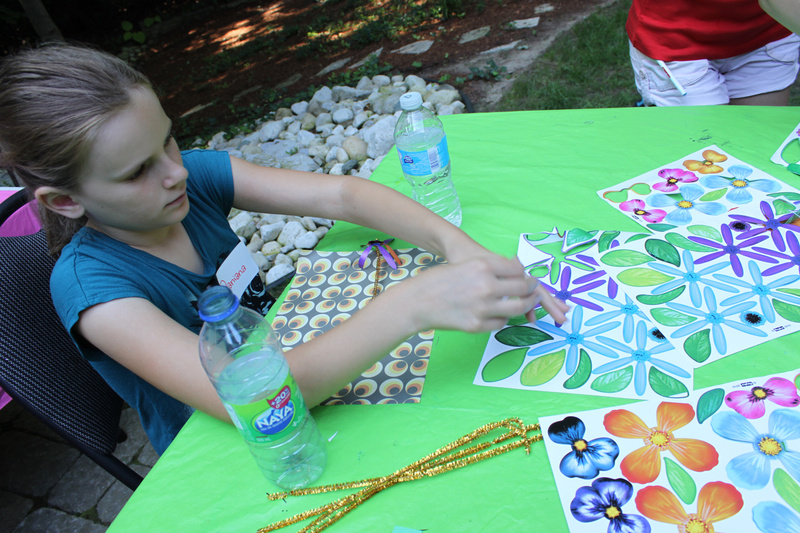 The ingenious flower designs allow students to overlap the different flower images to make their own three-dimensional flowers! Sheets of Bouquet Paper line one of the art tables at our Summer Art Camp. Each of the flower images can be popped out from the backing and combined with other flower images. To see more information on our R24560 Bouquet Paper click the following link! Simply overlap the flower designs. Each flower image is marked with a center hole to allow students to thread a pipe cleaner through and secure the flowers together. 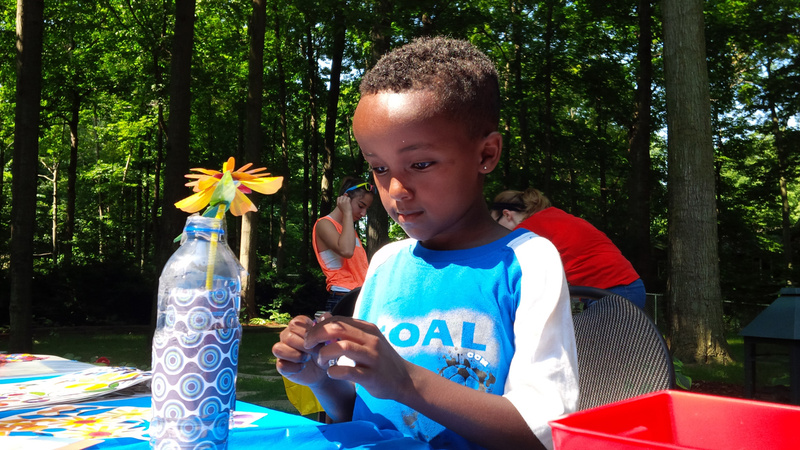 The pipe cleaner acts like the flower’s stem! Make sure the flowers all align at the center hole before you secure them with the pipe cleaner. Each of the Bouquet Flower petals and leaves can be carefully folded along the center to add a realistic touch to your designs. 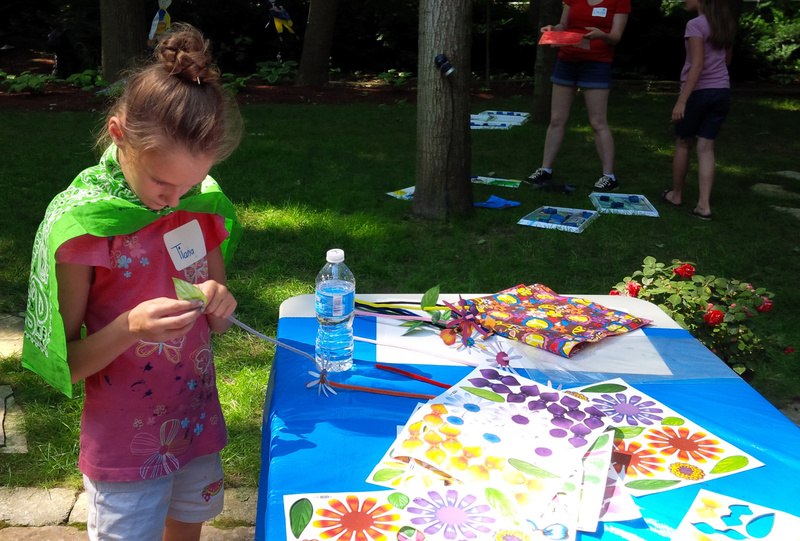 Here, one of the Art Campers adjusts her flower bouquet! 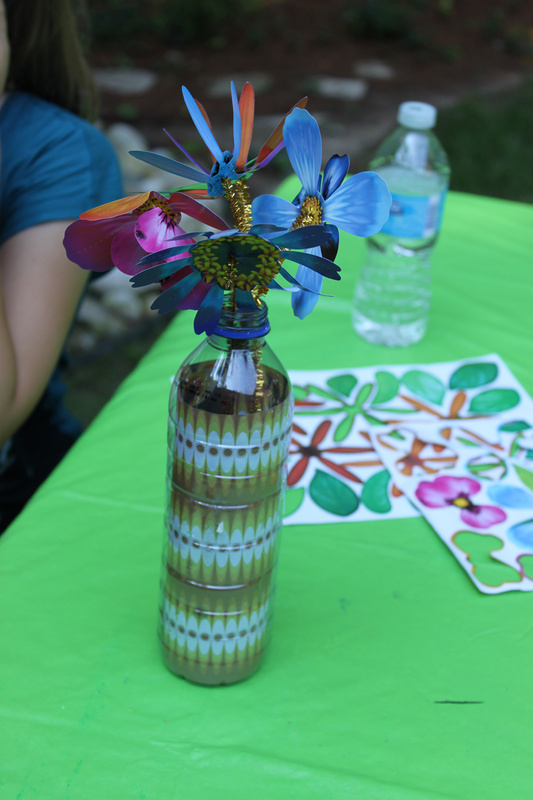 The flowers were placed inside of clean and empty water bottles. 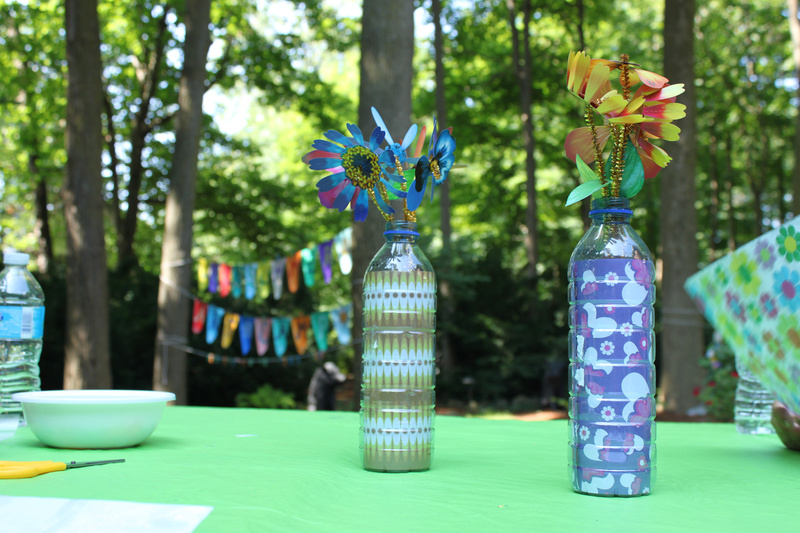 The inside of the bottles were decorated with our 15203 Decorative Hues Paper located HERE. Students selected their favorite paper design, rolled it up into a tight tube and slipped it through the top of the bottle. Now it looks like a vase! Perfect for adding a happy touch to your crafting table tops! Thanks for stopping by! If you have used this craft in the past, send us photos of your work and we will feature them in an upcoming post! Contact us through the contact form. 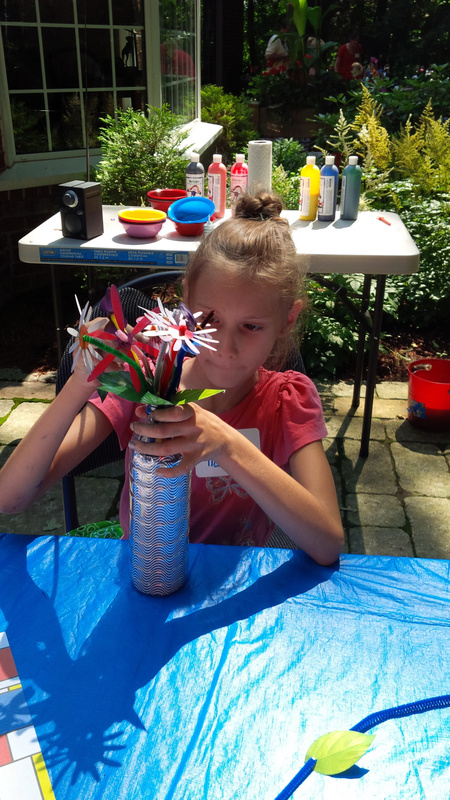 This entry was posted in Crafts and tagged art, art camp, bouquet, bouquet paper, crafts, education, flower, kids, paper, pipe cleaner, school, students by roylcoblog. Bookmark the permalink.